Lucasfilm just released a brand new Star Wars book following the adventures of Darth Vader. But this book won’t give you any insight into Jedi mythology or the man once known as Anakin Skywalker. 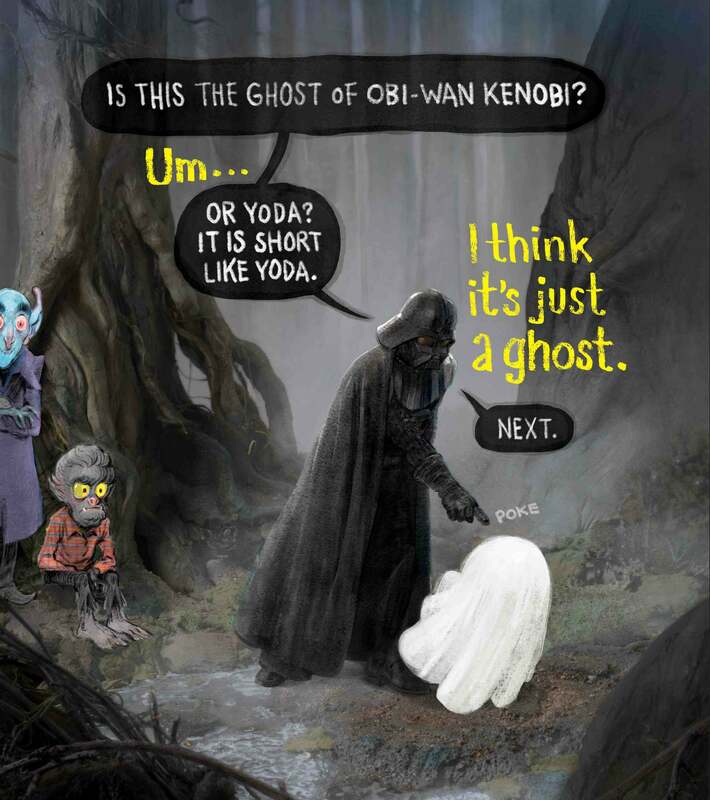 It’s a children’s book and, in fact, the first Star Wars picture book not tied to a cinematic film. 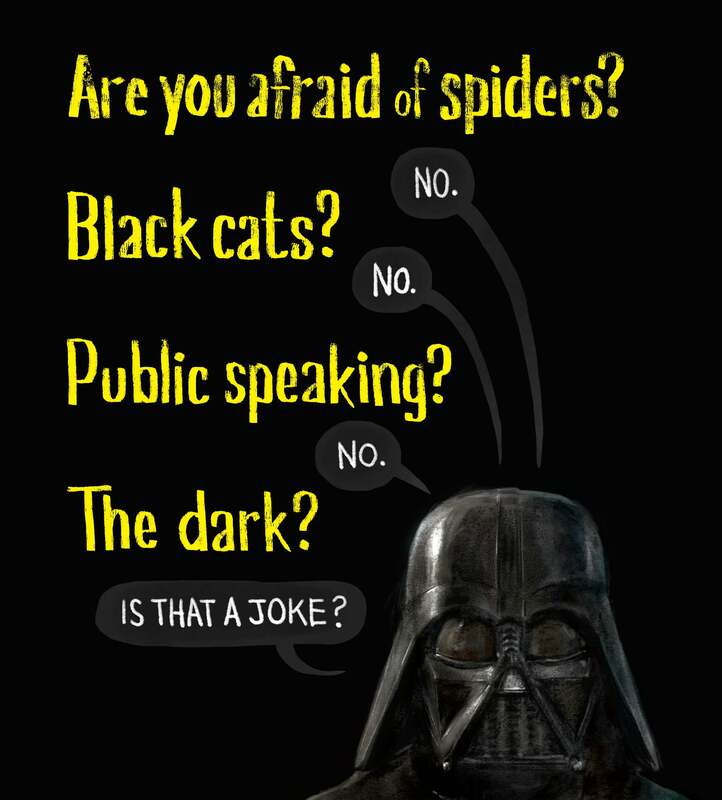 It’s called Are You Scared, Darth Vader? and it’s written and illustrated by Adam Rex. 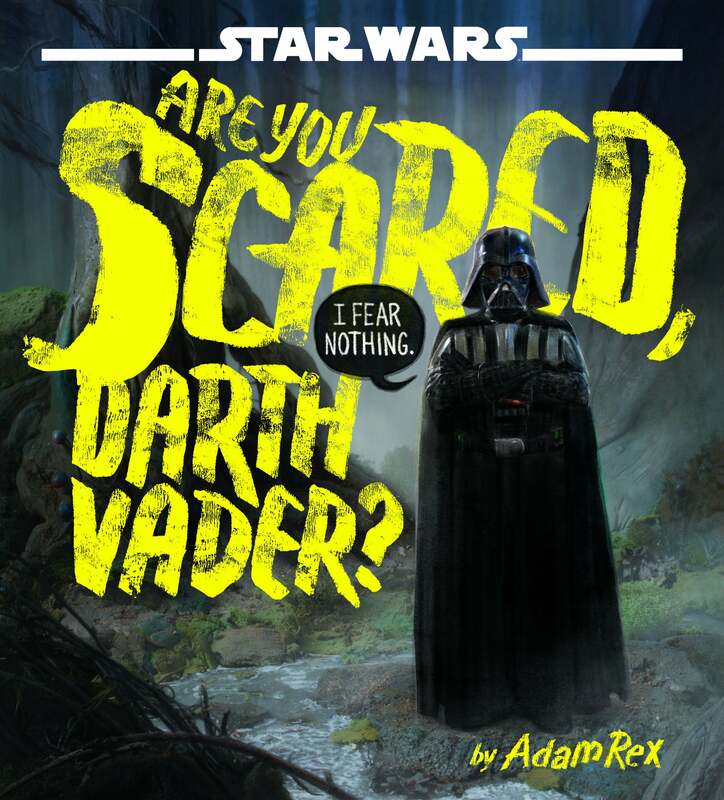 The book teaches kids about fear in a fun, relatable way with a decidedly Star Wars spin. 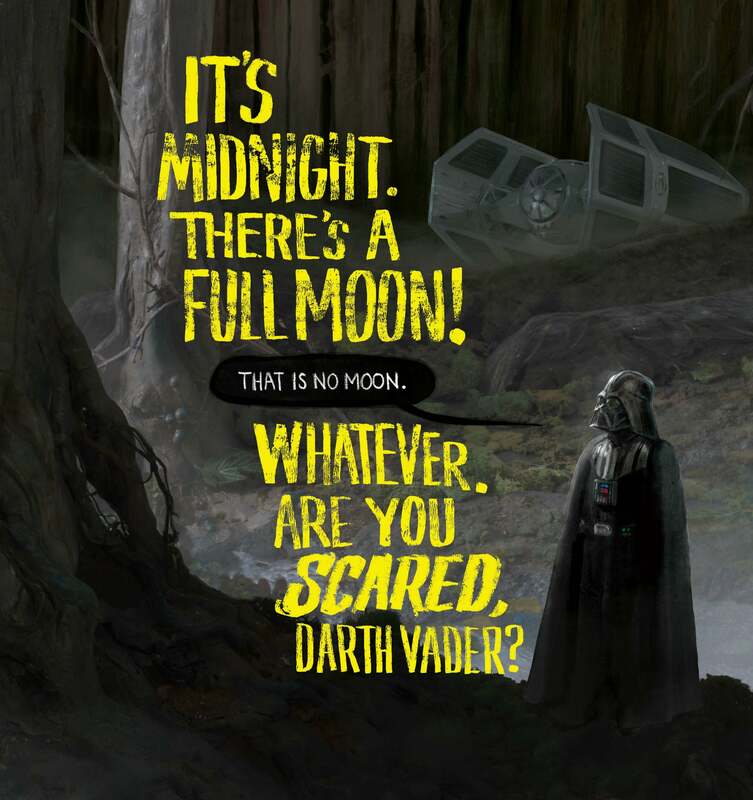 When Lucasfilm approached the prolific illustrator and author about making a Star Wars book for Halloween, saying yes was a no-brainer. It was also a daunting task. As you see in the images above and below, the book follows creatures trying to figure out what scares Darth Vader. The answer is, almost nothing. Almost. This is an interesting way to put it, considering that to make sure his drawings of Darth Vader lived up to official Star Wars standards, that’s exactly what Rex used as a reference: an action figure. One model the book does break with is Star Wars canon. This book, obviously, never happened in Vader’s history. It’s just a fun, educational book for kids. Michael Siglain, the executive director of publishing at Lucasfilm, explained how the company approaches each differently. And ultimately, that’s how Rex views the book: Not as some crucial piece of Star Wars, but as something that feels “Star Wars” and will help make the franchise feel special for kids. 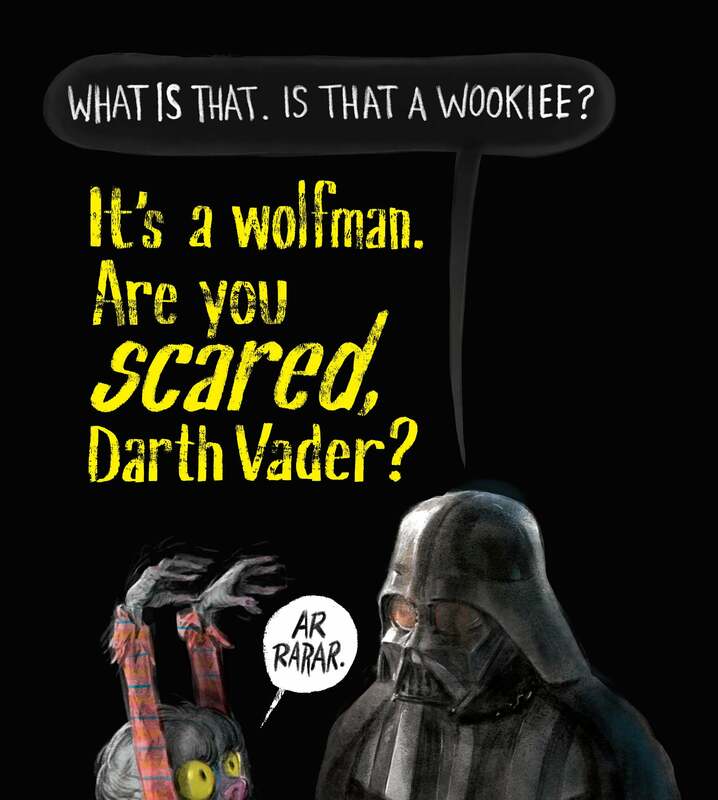 Are You Scared, Darth Vader? is now in stores.